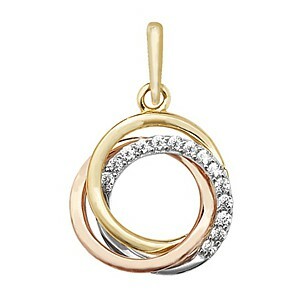 Yellow gold, rose gold and sterling silver enhanced with shimmering CZ, it’s a recipe for absolute delight, day or night! Comes complete with a gold chain. Actual size: 2cm.